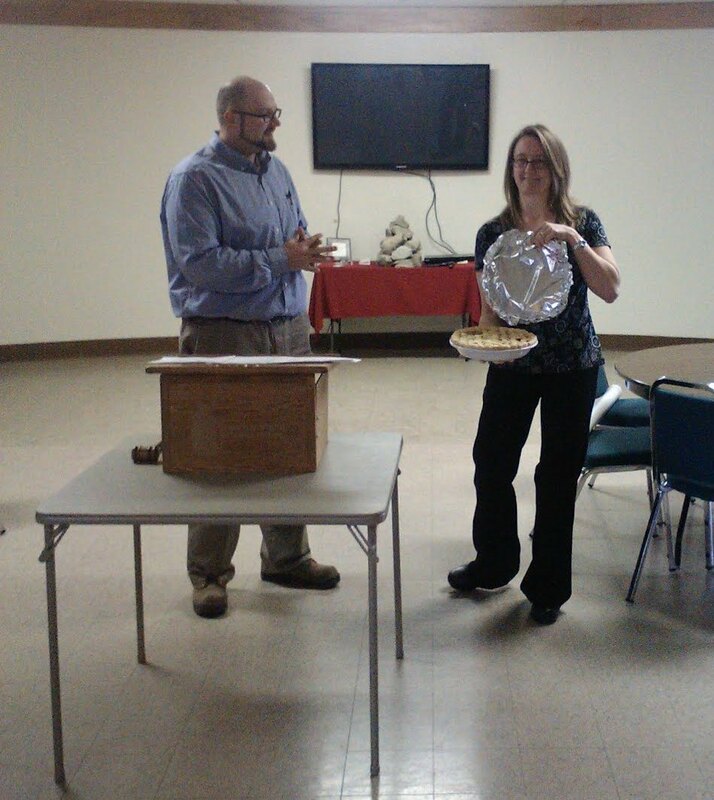 Congratulations to David Arnold for winning this contest and receiving a homemade pie baked by contest organizer Melissa Niesen. Thanks to Jamie for the photograph of this historic event! Winners Note: Melissa is an excellent pie baker. Any contest with baked goods on the line from Melissa should have many entrants!